David is 184cm / 6' 0,44", 46 EUR size and is wearing a Small size. It fits loose & oversized, but there are no rules on this. 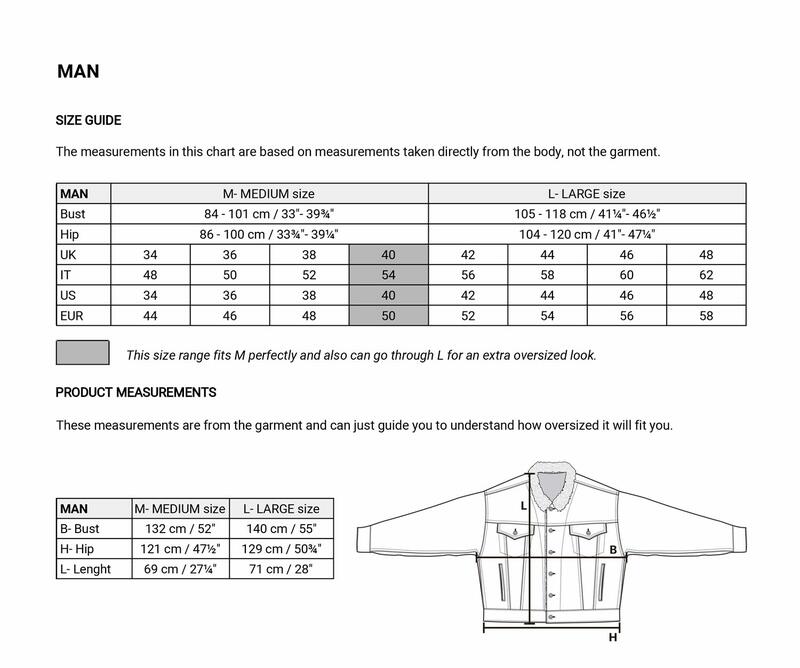 There are 2 sizes to play with that fits all man size range: Medium & Large.